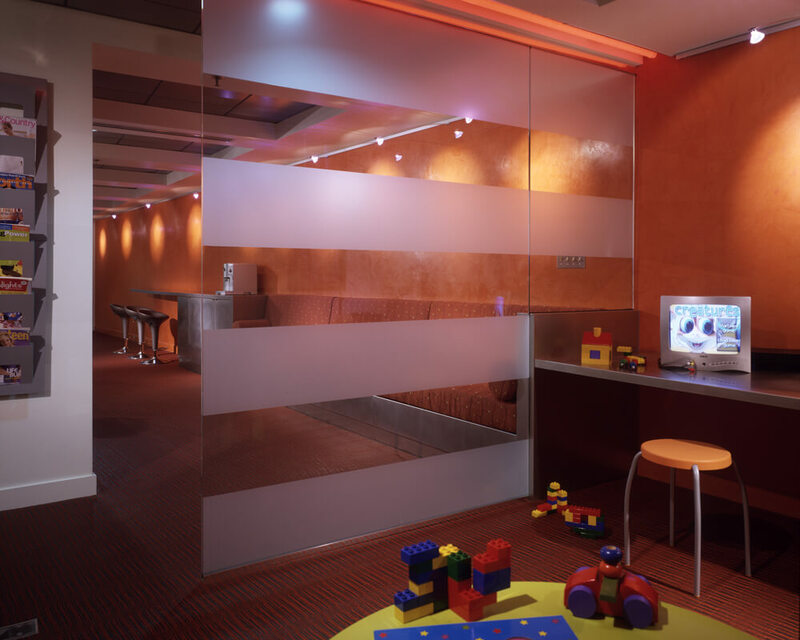 A 1300sf modern pediatric dental office in McLean VA, with clientele ranging from toddlers to teenagers. The client’s wish was to make the visit interesting and comfortable for patients of all ages (and the accompanying parents). 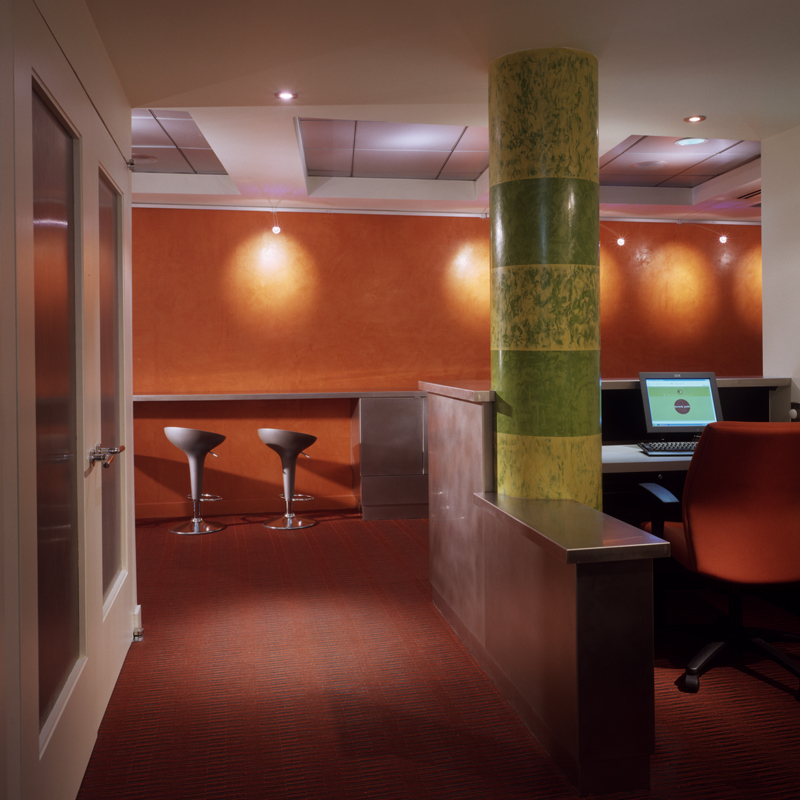 A Reception desk, a coffee bar, seating with a plasma screen monitor showing kids’ movies, a playroom for young patients, a computer station for teenagers that want to surf the net, offices, open dental bay area, a quiet room for surgical procedures and labs for x-rays and sterilization were all functions that were accommodated efficiently, resulting in a seamless and exciting project. 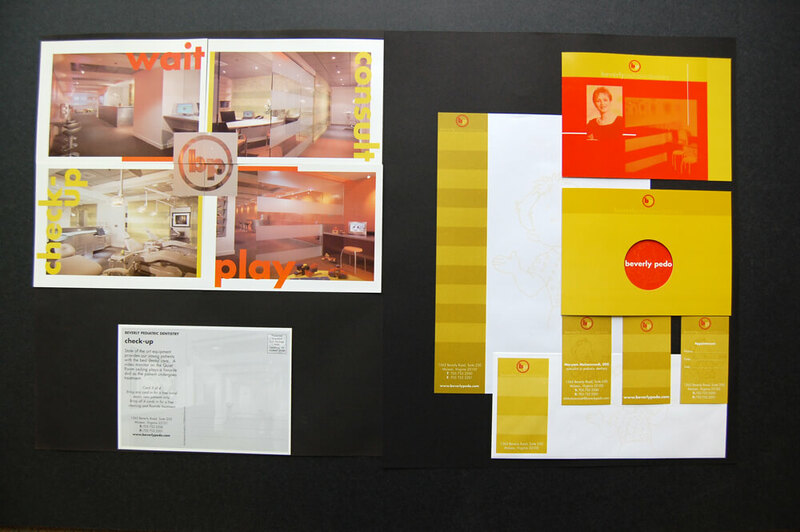 FORMA designed the Interior Architecture as well as the Branding, Graphics and Marketing materials for the business. The project was featured in the Home section of the Washington Post in September of 2003, in INTERIOR DESIGN magazine in November 2003, in Woman Dentist Journal in February 2006, in Interior World magazine, and won an honorable mention at the Fairfax County Exceptional Design awards in the fall of 2005. 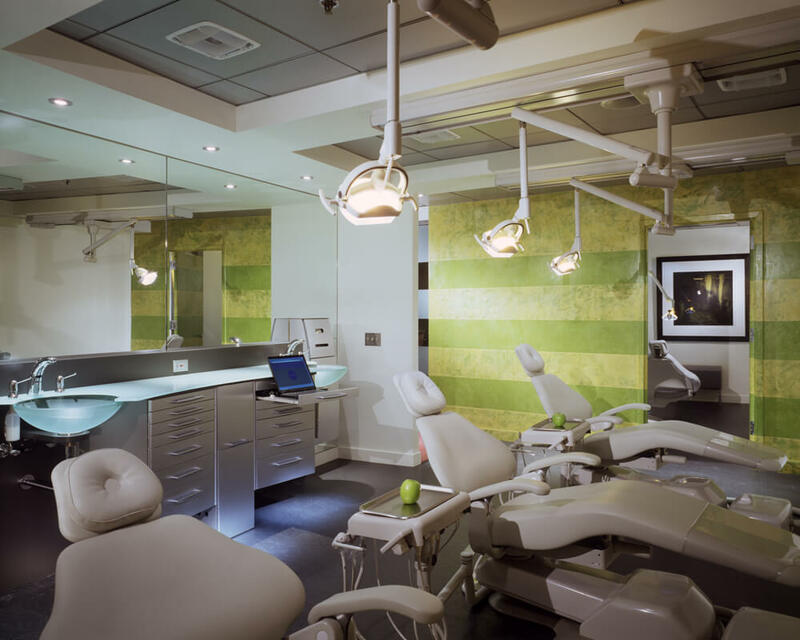 "I first read about FORMA Design's work in the American Dental Association's Office Design Handbook. I immediately scheduled a meeting with its principal, Andreas Charalambous. 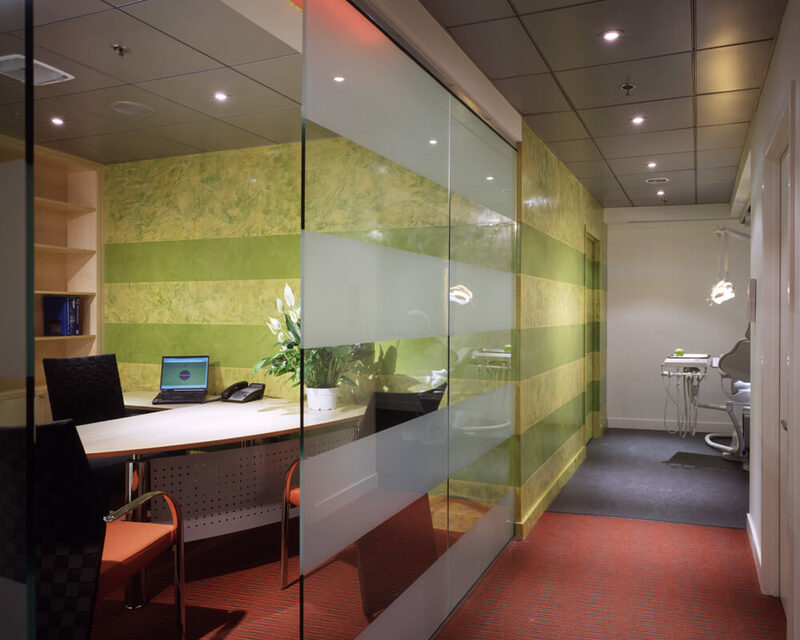 My main goal was to build a unique office to accommodate my young patients and their parents; during our first meeting, Andreas demonstrated a totally different approach and philosophy in office design, and had me sold. He created a very efficient layout in a very tight space, and paid special attention to finishes, furniture and lighting, moves that made each visit by patients and their parents both comfortable and memorable. As the project was being completed, I sought Andreas' expertise in creating a corporate identity for my practice and promoting my new office. He incorporated the architectural design concepts with the specifics of my pediatric practice and created a unique branding package for my business. With Andreas' leadership, we soon launched the marketing campaign for the business; the response from my colleagues was beyond my expectations. The open house was full of local dentists that were intrigued by the invitation, but after seeing the set-up for my practice, they eventually became great referral sources. I consider Andreas a great friend and one of the best business consultants I have met. 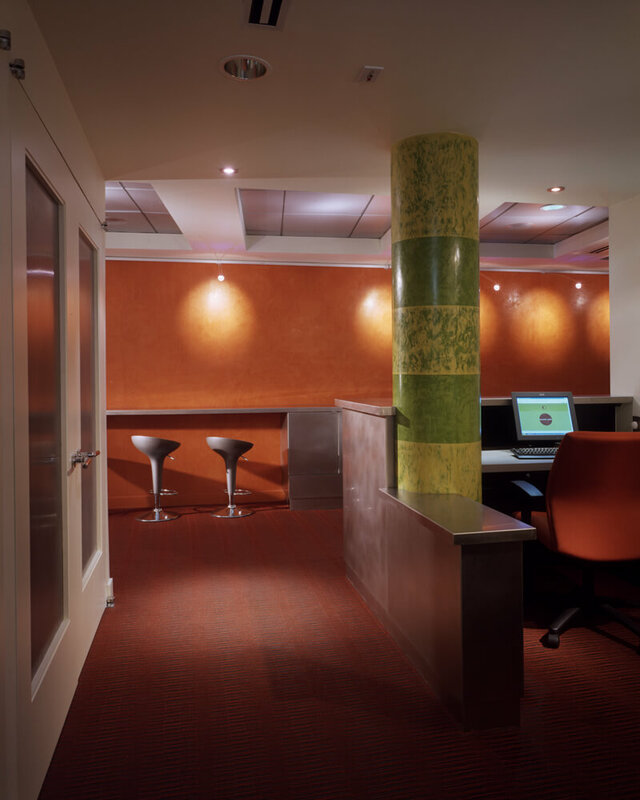 FORMA Design is not just another architectural firm; it's a new way of Business Advancement."